Drive to Jalbire in 4 – 5 hours. Trek to Chanaute in 4 hours. Trek to Khani Gaon in 6 hours. Rest day and sightseeing around local villages. Trek to Forest Camp in 6 – 7 hours. Trek to Pati in 5 hours. Trek to Bhairab Kunda in 3 hours. 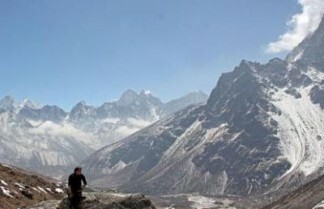 Trek to Sherpa Gaun in 6 – 7 hours. Trek to Larcha, visit a hot springs (Kodari highway) in 3 – 4 hours. We complete our trek with a drive following the Kodari Highway to Kathmandu. Your time is free to either further explore Kathmandu.